Ranka has been engaged as the Executive Director at CEP since February 2017, after almost three years in the position of the Senior Project Manager at CEP. 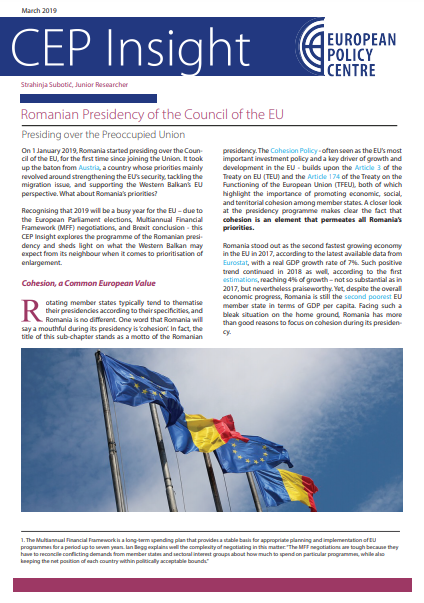 Prior to her engagement with CEP, she was working in public administration, in the ministries in charge of the economy, where she was engaged in creation and implementation of small and medium-sized enterprises (SMEs) policy, it’s alignment with SME policy in EU, as well as project preparation and implementation. She was also a coordinator for European integration issues in the Ministry of Economy and a deputy secretary of the Negotiation Group 20 - Enterprise and Industrial Policy. As a British Embassy scholar, in 2012 she was an intern in the Greater London Authority, London’s Mayor Office. She was also a mentor to an intern in the organisation of USAID BEP project for a year. She spent two years in the private sector as well. Ranka graduated from the Faculty of Political Sciences, Department of International Relations at the University of Belgrade where she continued her Master studies in international politics. She has attended a number of courses in the country and abroad in respect to European integration, SME policy development and EU state aid policy. She speaks English fluently and has medium level knowledge of French and Italian. 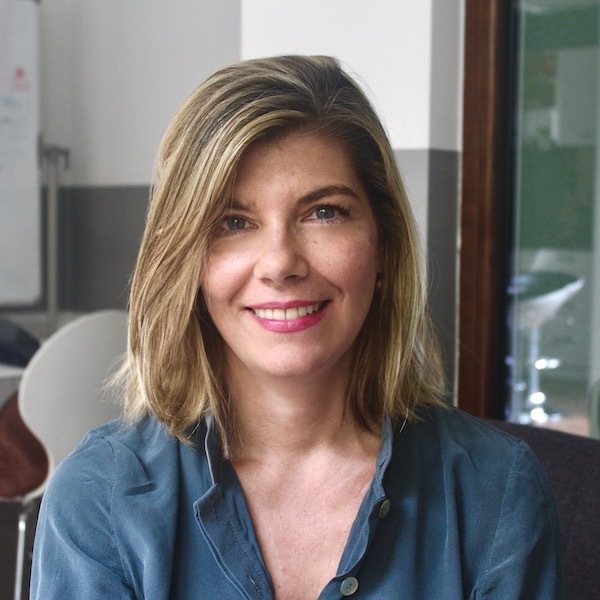 As the Programme Director, Milena is in charge of the overall programmatic strategy of CEP as well as developing and managing the quality assurance system and processes within the organisation. In terms of thematic focus, she is primarily responsible for the Good Governance and Europe&us programme areas. 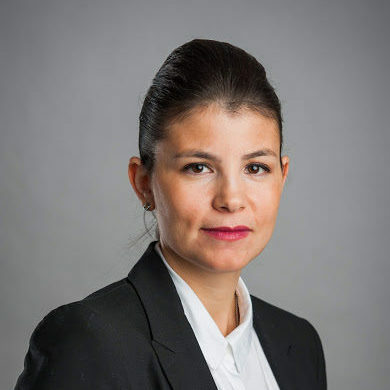 Milena is a proven expert in the fields of public administration reform, regional development and local economic development, with consultancy engagements including SIGMA/OECD, ReSPA and the World Bank. In 2014-2015, in addition to her work at CEP, she acted as the special adviser to the Serbian Deputy Prime Minister in charge of public administration reform. Prior to co-founding CEP, Milena served for six years in the Serbian civil service, as adviser for public administration reform and administrative capacities for EU accession in the EU Integration Office of the Serbian Government (SEIO) and in the Serbian Ministry of Public Administration. As a Soros scholar, she obtained her BA degree in European Studies and International Relations at the American University in Bulgaria (AUBG), after which she obtained an advanced MA degree in European studies at the College of Europe, on a King Baudouin Foundation scholarship. She later also graduated from the Diplomatic Academy of the Ministry of Foreign Affairs of Serbia and obtained an MA in European Administrative Law at the Law Faculty of the Belgrade University. She speaks fluently English, French, Italian and Bulgarian and has basic knowledge of German. She is married and mother of two children. Dušan Protić, lawyer by profession, has a unique expertise in the area of market regulation, public law and public administration. He has the profound ability to conceptualise comprehensive regulatory solutions in complex surroundings of contemporary legal system in Serbia. In period between 2001 and 2015 he held positions of deputy and assistant minister in Ministry of Justice, Ministry of Agriculture and up until recently in continuous mandates in Ministry of Trade, Tourism and Telecommunications. In his competence as government official he was primarily in charge of normative affairs and appellate proceedings. Moreover, he was director of Judicial Centre (currently, Judicial Academy), as well as manager of legal affairs in corporative sector. He has completed bar exam and diplomatic course at the Diplomatic Academy of the Ministry of Foreign Affairs of the Republic of Serbia. Dušan speaks English and French. Miloš graduated from the Faculty of Political Sciences, University of Belgrade, where he continued his Master studies in political institutions and institutionalist theory. He studied European Union institutions and procedures as well as project cycle management as participant in the Leadership Development Programme, jointly organised by the College of Europe and the European Fund for the Balkans, as well as in the FutureLab Europe programme of the civil society organisations gathered around European Alliance for Democratic Citizenship. He completed several internships in domestic and foreign organisations, including the Belgrade Center for Security Policy, Political Academy of the Austrian People's Party and National Democratic Institute and worked as an associate on the project administered by the European Fund for the Balkans. He is alumni member of the Belgrade Open School, XVI generation of students at the Department of Advanced Undergraduate Studies. He joined the CEP team in March 2012 as project assistant, then continung at the position of researcher. Speaks English and German. 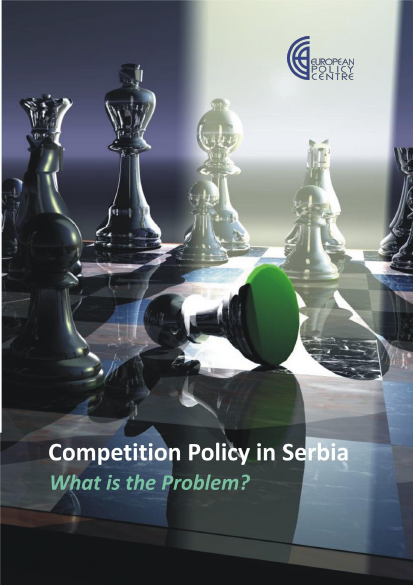 Sena joined CEP team in May 2013 as a researcher in Good Governance programme area, dealing primarily with the topics of public administration reform and policy making in Serbia in the context of EU membership negotiations. Since 2015 she also is in charge of development of Europe&Us programme area. At the same time, she works as an external associate on research projects related to EU’s enlargement policy as well as migration and asylum policies. She is also ad hoc correspondent for Danas daily newspaper. 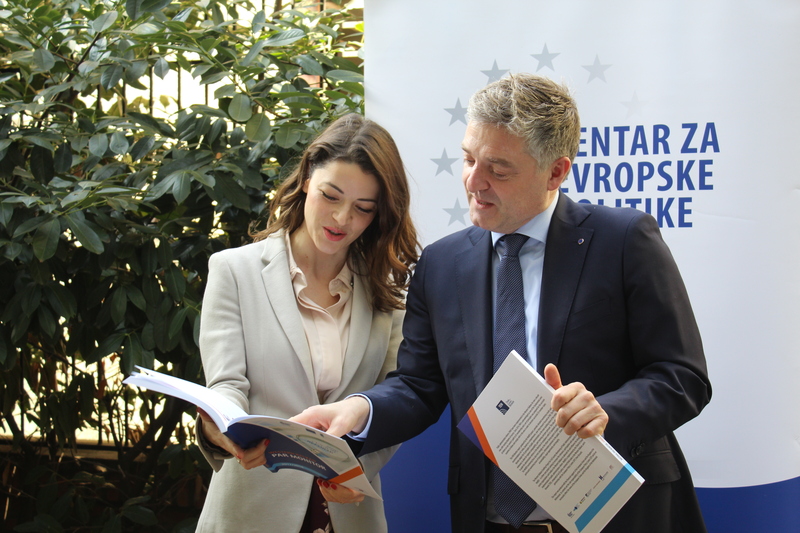 Prior to CEP, Sena worked for the think tank European Stability Initiative in Brussels, on the projects related to the EU visa liberalisation policy towards the Western Balkan countries and Turkey. 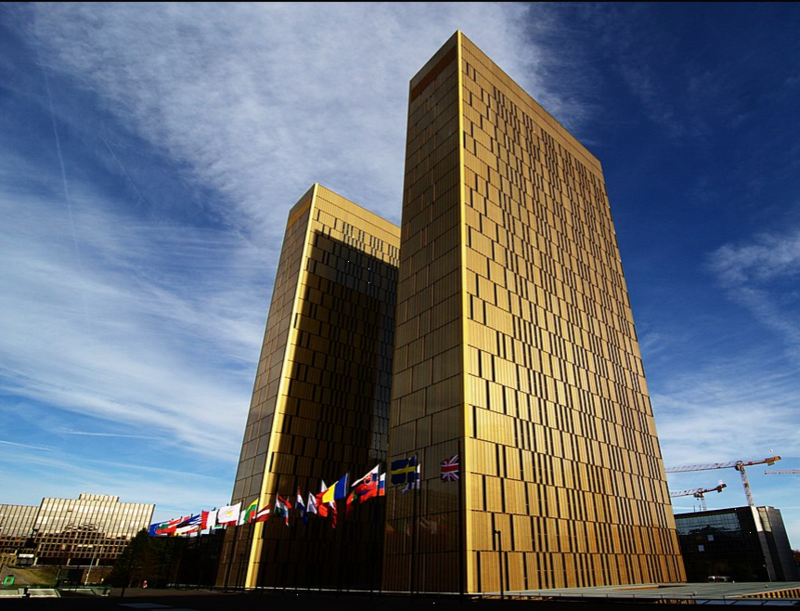 Moreover, she did a 5-month traineeship at the European Commission in Brussels, on the programme that provided legal and technical support in the fields of science and energy to the candidate countries for EU membership. Sena has successfully completed advanced Master studies in EU International Relations and Diplomacy Studies at the College of Europe in Bruges, with the scholarship provided by the Government of France. She graduated from the Faculty of Political Sciences, University of Belgrade, as well as from the advanced undergraduate programme at the Belgrade Open School. Apart from her mother tongue, Sena speaks English, French and Spanish. Staša is an engineer of organizational sciences, primarily engaged in Good Governance programme area. 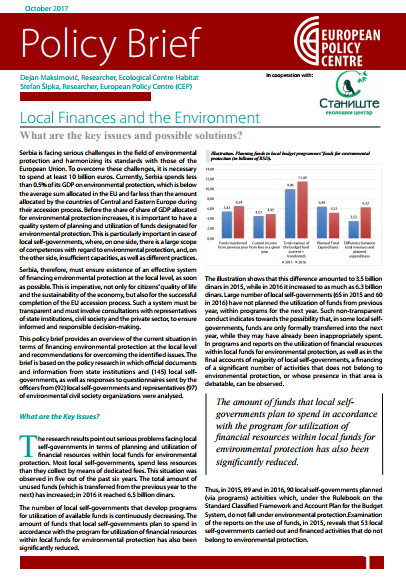 Prior to her engagement with CEP, she was working 8 years in public administration in Serbia on projects in public administration reform and local development. Staša has developed and participated in many projects funded by EU, international institutions and bilateral donors operating in Serbia. She also acted as a Serbian liaison officer for the Regional School of Public Administration in 2009-2012. Staša completed a Fulbright program on public policy analysis and public administration at the University of Minnesota in 2015/2016 and the intensive summer school on the European Union at the College of Europe in Bruges in 2011. She completed numerous courses in project cycle management, strategic and operational planning, international public procurement procedures and leadership skills. Moreover, she completed an American Management Association’s course on Management Skills for New Managers, Situational Leadership in the US in January 2016. Staša affiliated with the World Bank’s Governance Global Practice Department in Washington, D.C. and the Hennepin County Office of Multicultural Service in Minnesota, USA. She is particularly interested in quantitative data analysis. 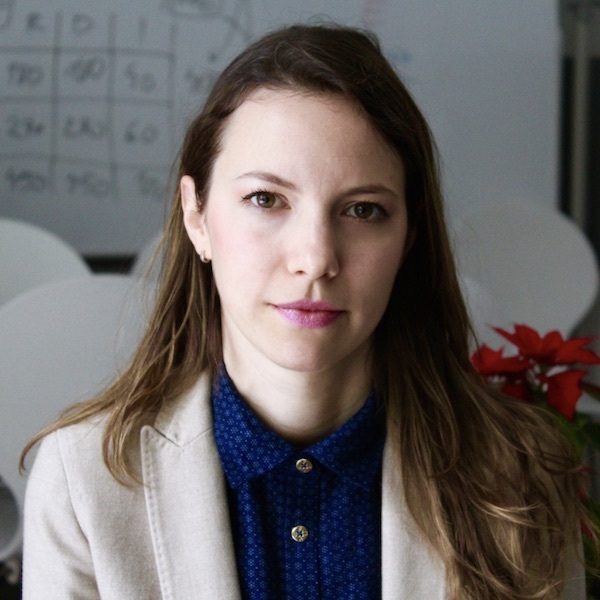 Jelena has ten-year experience in project and policy cycle management, with specialisation in impact assessment, monitoring and evaluation (M&E) of programmes and projects. She also has extensive knowledge of EU-funded programmes and projects, extensive knowledge of IPA II financial assistance and programming in Serbia and the region. More specifically, Jelena has experience in programming and managing national and regional projects, including project identification and programming, as well as experience in programmes and projects M&E: development of manuals/guidelines on M&E for public administration, delivery of training on M&E practical application, and developing result-based monitoring tools and matrices. 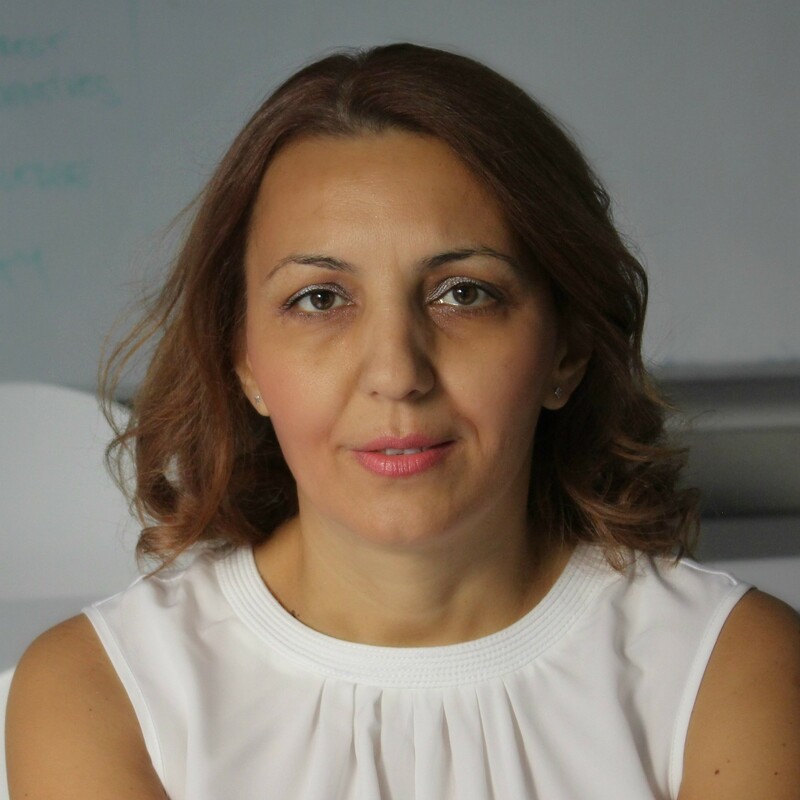 She has a comprehensive experience in strategic planning and management proven through developing strategies and corresponding action plans for state ministries and local authorities in Serbia. So far she conducted various analysis: gap analyses, needs assessments, impact assessments and evaluation studies, baseline studies and target value identification/evaluation studies, stakeholder analysis, functional analysis, mainly for state ministries or needs of specific projects. She has experience in working as a consultant in public administration on various international engagement including EU PPF5, SIPU International, SIDA, and UNDP. 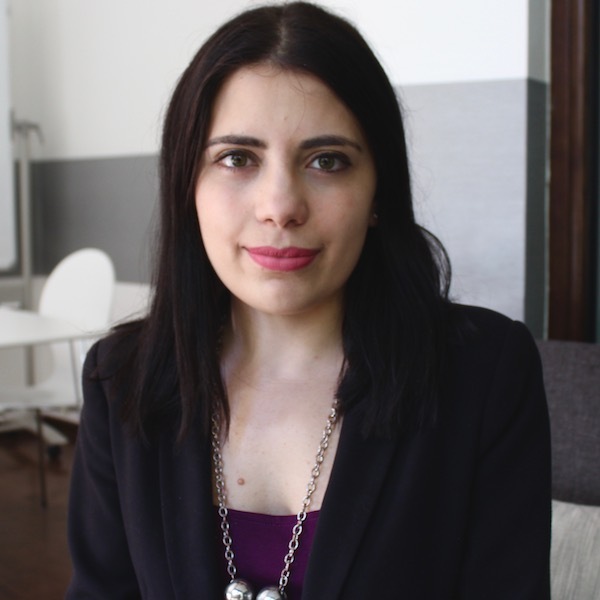 Jelena holds a MA in International Security from the Faculty of Political Science in Belgrade. Ljubica graduated from the Faculty of Philology, Department for Iberian Studies, obtaining the title of Spanish and English language teacher. She has built her professional career in the education/employment sector. Besides working as a foreign languages teacher, she was engaged as an assistant, office manager and translator in international projects aimed at managing and improving the vocational education and introducing the National Qualifications Framework to Serbian specific environment. She has years of experience in project administration and implementation and working with various international organizations. 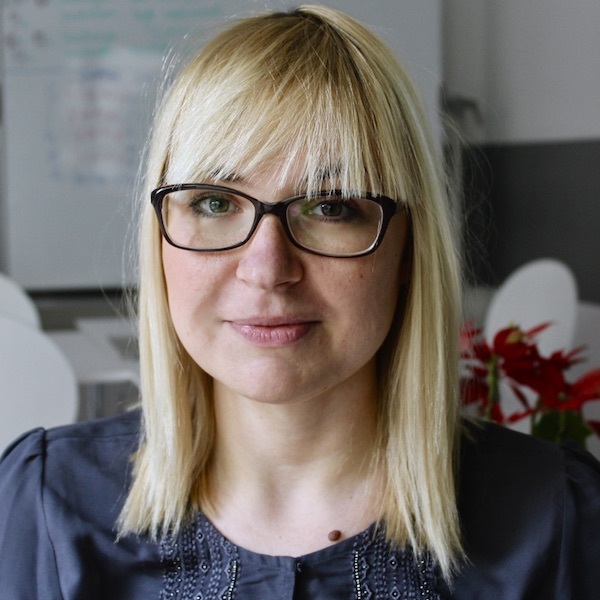 Ljubica joined CEP team in January 2017 as a project assistant primarily within the Good Governance programme area and then advanced to the position of project manager. She speaks English and Spanish fluently and has basic knowledge of Brazilian Portuguese. 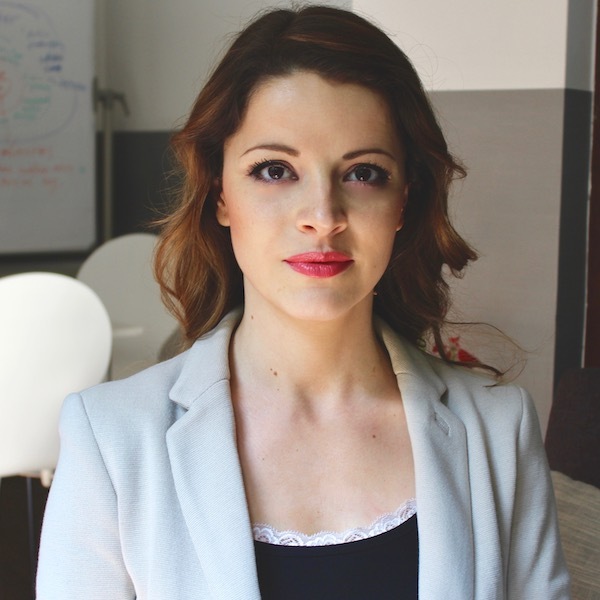 Jovana is currently attending master studies of management at the Department of Project Management at the Faculty of Organisational Sciences in Belgrade. She acquired her BA degree at the Faculty of Political Science, University of Belgrade - European Integration module. Within the project assistant position, Jovana conducts work of coordination, planning and monitoring of project activities, as well as organisation of events and administrative assisting . 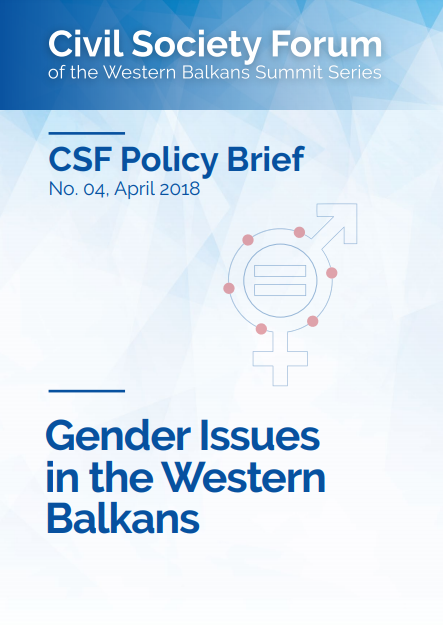 Previously, she obtained work experience within Catalyst Balkans organisation in tracking philanthropy, social changes and corporate social responsibility in the Western Balkans. Jovana is an alumna of the Future Leaders Exchange (FLEX) program through which she received scholarship of the US State Department and finished a year of high school education in California, USA. Jovana is also alumna of the III generation of the Public Policy Academy within the Libertarian club Libek, as well as a participant of the Youth School of Activism within the Social Responsibility Initiative. 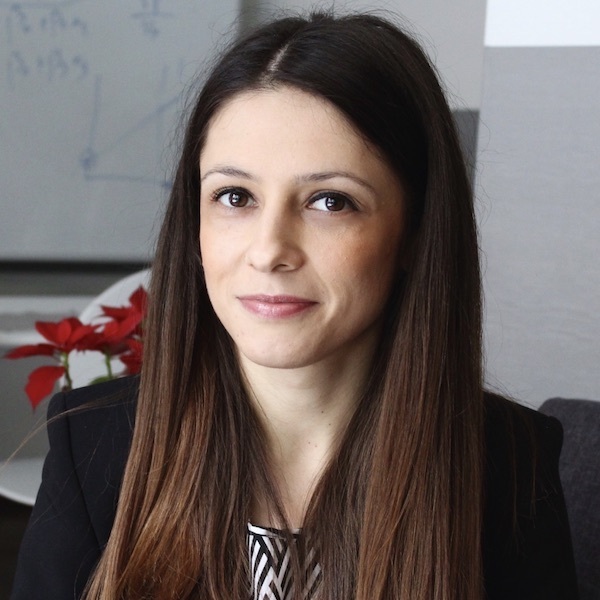 Jovana particularly focuses her interests in the area of multi-project management and implementation of software tools in project management, but also strives to advance her skills and knowledge of financial management. She fluently speaks English and is learning German. She joined the European Policy Centre (CEP) team in July 2015, after having completed 2 months of internship. 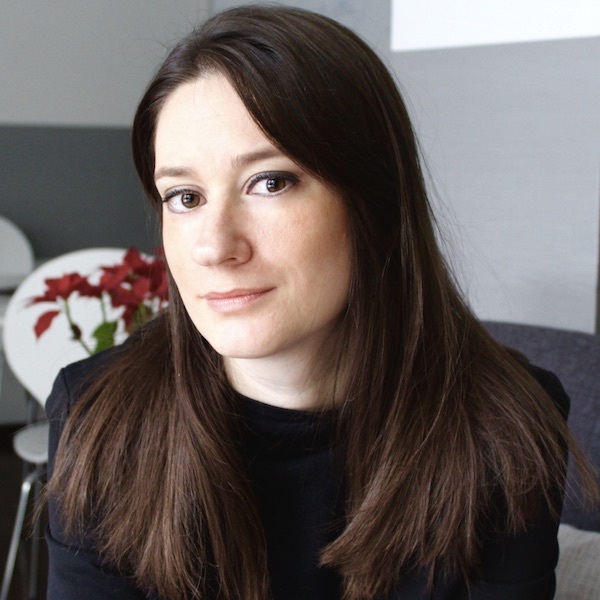 Nataša Ristić is engaged in communications and public relations and she specialised in strategic communication in the public and NGO sector. After finishing her studies at the Faculty of Philology in Belgrade, since 2000 she has been working in the daily newspaper Danas. Upon obtaining the title of Master in Human Rights at the University La Sapienza in Rome, Nataša began working as an advisor in the Ministry of International Economic Relations, and subsequently in the EU Integration Office of the State Union of Serbia and Montenegro. 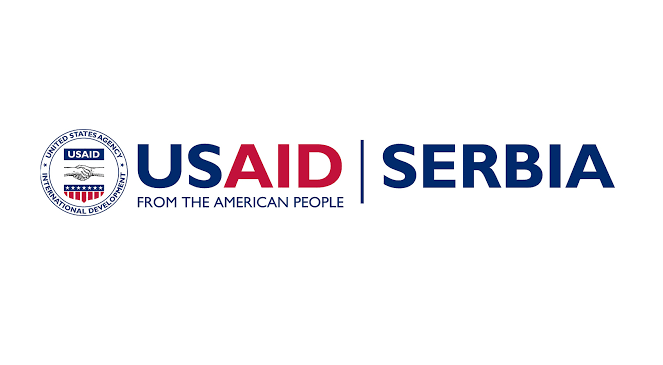 As a director of communications in the USAID MEGA program, she worked until 2010, before becoming a key expert on EU projects in Serbia, in the areas of local economic development, social inclusion, human rights, EU integration, gender equality, good governance, institutional capacity building and public health. She worked for UNDP, UN Women, UNICEF, Eptisa, GIZ, SDC, JICA. In 2011, Nataša established the Agency for Communications and Public Relations PRactive. She speaks English, Italian and Spanish. Nataša is married and has one child. Anesa has graduated from University of Belgrade, Faculty of Political Science. She hold a BA with Honours in Political Science – International Affairs. She is currently attending Regional Master's Program in Peace Studies. During her undergraduate studies, she interned at Belgrade Centre for Security Policy and in office of the Protector of Citizens of the Republic of Serbia (Ombudsman). She is an alumna of XXIII generation of the educational programme Future Studies of Belgrade Open School, an alumna of the II generation of Human Rights Defenders School organized by Civil Rights Defenders, and an alumna of the II generation of LIBEK’s Public Policy Academy. She completed the courses Applied Rhetorics and Debate course at the Faculty of Political Sciences. Anesa joined the European Policy Centre (CEP) team in February 2017 as an Events and Communication Assistant. She works as Coordinator from January 2019. She speaks English and has a basic knowledge of German. Vladimir is a policy analyst and researcher in the fields of public administration and public policy, with experience in Serbian public administration reform matters and expertise in public sector wage system reform, human resources management and reorganisation of public administration. Experience in both Government and non-governmental sector enables him a comprehensive approach in analysis of public administration. From July 2014 until August 2016 he worked as an advisor in the Cabinet of the Deputy Prime Minister and Minister of Public Administration and Local Self-Government. Prior to the engagement in the Government, he had worked in several CSOs, including CEP where he had participated in research on public administration reform and public policy making and coordination. At the moment, he is engaged in Serbian public sector wage system reform as a local consultant of the World Bank, as well as in introduction of HRM in local self-governments as a consultant of the Council of Europe. Vladimir graduated from the Faculty of Political Sciences University of Belgrade, after which he obtained an MA degree in Public Administration, Local Self-Governance and Public Policy at the same faculty. He speaks English. 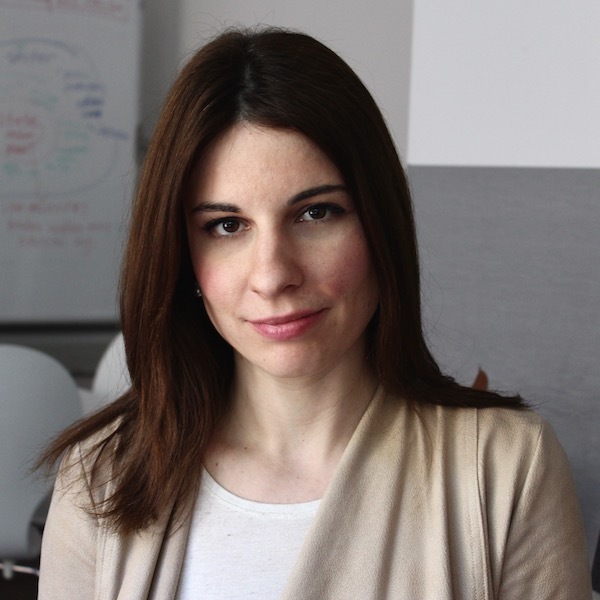 Dragana focuses her research on the Good Governance and Europe&us programme areas. 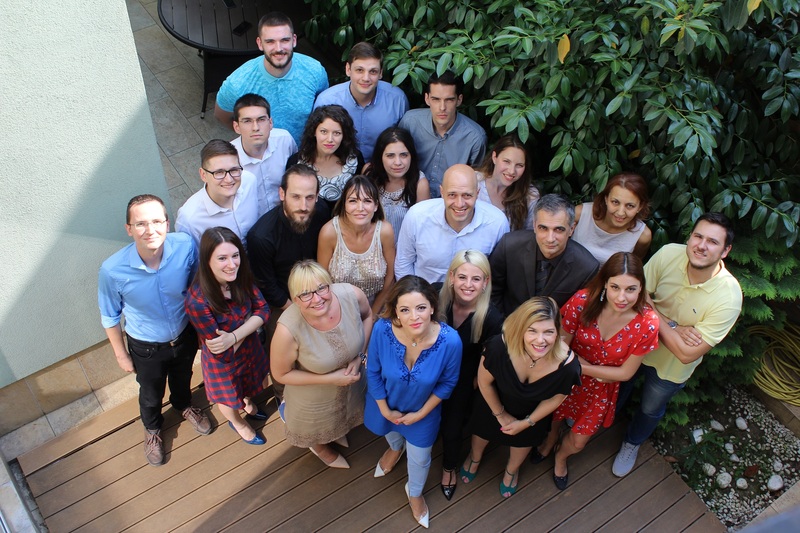 In April 2016, she finished the RRPP Research Academy – a comprehensive training on social science research methods tailored for junior researchers in the Western Balkans. In June 2015, she completed the Jagiellonian University Summer School "Democracy, Expertise and Power: Making a New Europe in the Era of Globalisation" in Krakow, Polland, where she presented the topic The EU's Enlargement Agenda as a Tool for Ensuring Democratisation and Stability in the Western Balkans. 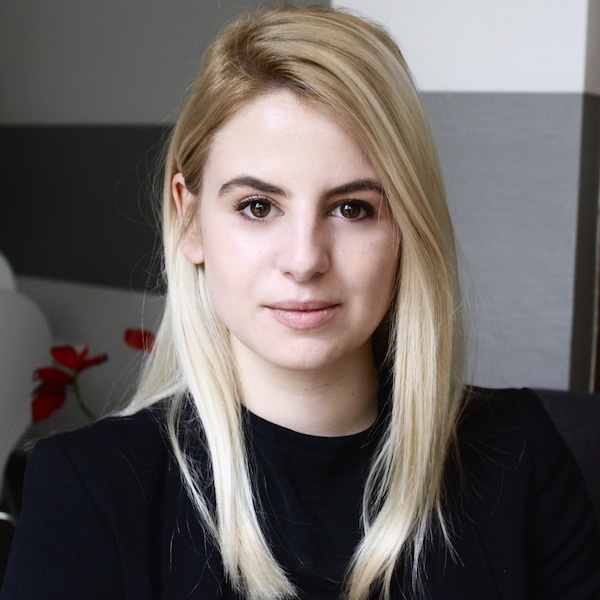 During her studies, she completed internships in various think tanks in Belgrade and spent several months at the Serbian seat of the international EurActiv media network, where she covered EU-Serbia related topics. Dragana is particularly interested in the EU enlargement process. She holds an LL.M. degree in European integration, obtained at the University of Belgrade Law School, defending the thesis "The Principle of Good Neighbourliness in the EU Enlargement Context: How Strict Conditionality for Serbia?" She finished undergraduate studies in international politics at the Faculty of Political Science of the same university. She is fluent in English. Having strong linguistic skills, she additionally engages in proofreading/copy editing. 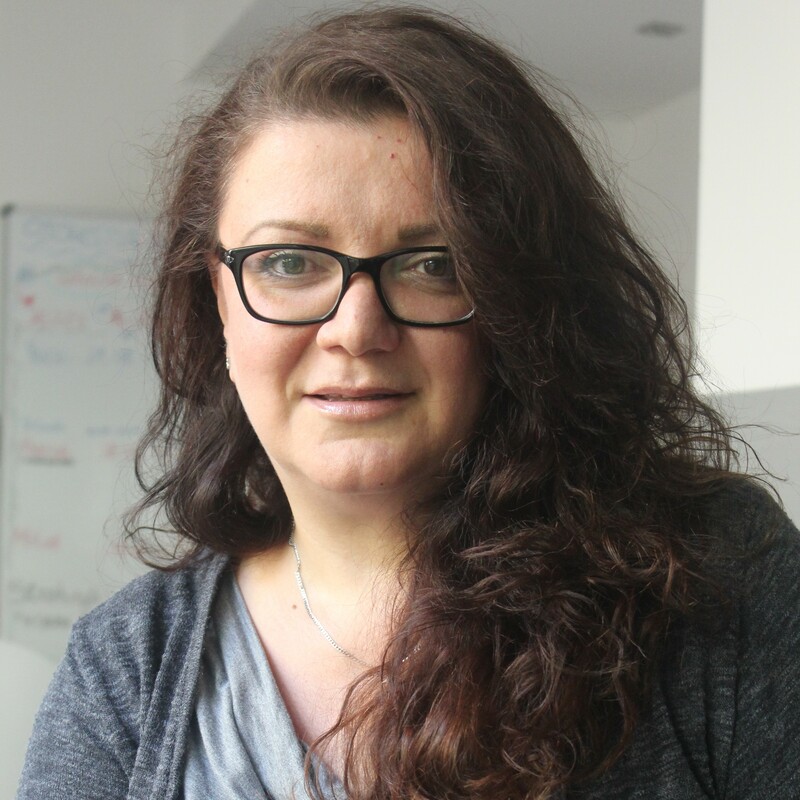 Dragana joined CEP team in July 2014. Katarina graduated from the Faculty of Political Sciences, University of Belgrade, Department for International Relations and European Integration, after which she obtained MA in Human Rights and Democracy in South East Europe at University of Bologna. 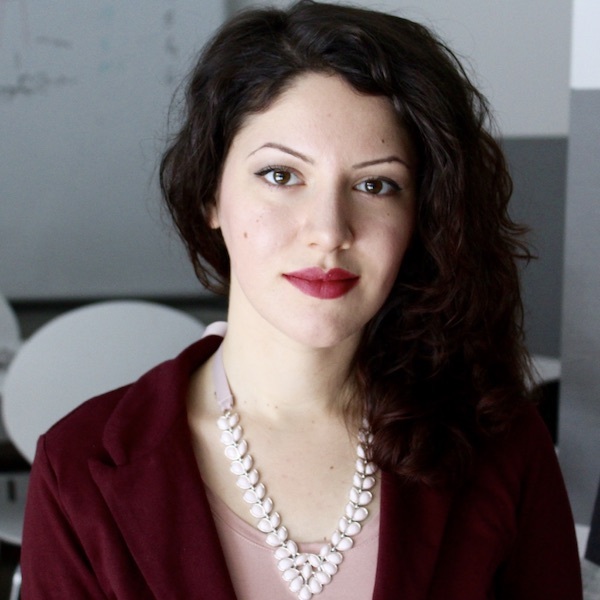 During her master studies, she did an internship in KIPRED (Kosovo Institute for Policy Research and Development) where she conducted a research on the role of Ombudsperson in democratization of Kosovo. Moreover, for two years, between her bachelor and master studies, Katarina worked as an external associate in Friedrich Ebert Stiftung on the topics related to political education, gender equality and EU integration. Further, she successfully finished Training of Trainers and Lecturers organized by FES in 2013 on the topic of European Integration and Transitional Justice. In 2014 Katarina took part in Alpbach Summer School in Belgrade where she studied European Union institutions and policies. In the meantime, she wrote articles for Kosovo 2.0, Balkanist and European Western Balkans. Katarina joined the CEP team in December 2015. She speaks English and has working knowledge of Russian. 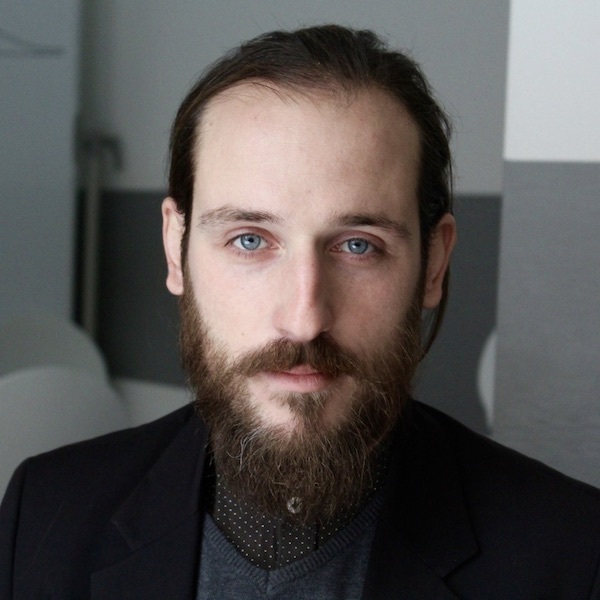 Vanja Dolapčev has become a part of the European Policy Centre in Belgrade in October of 2018. By doing research and developing ideas, he deals with projects and initiatives related to good governance. Previously, he was engaged as a Project Coordinator dealing with European integration and good governance at the Belgrade Open School. He is the author of multiple research and policy papers in the above-mentioned areas. Vanja completed his academic education in international relations and international economy at the University of Belgrade, Charles University in Prague and George Mason University in the United States. He is a proud alumnus of the Fund for American Studies and Belgrade Open School. Vanja is also a regular lecturer in Belgrade Open School’s “Future Studies” programme, at the “Future of Europe” module. In his spare time, he enjoys drawing, reading books and comic books, watching television shows and movies and cooking. Vanja speaks English and Ruthenian and has an intermediate knowledge of using German and Russian language. 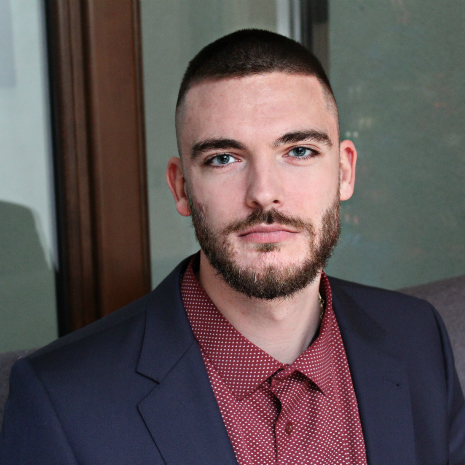 Strahinja joined CEP team in January 2017 as a Research Fellow within Europe&us programme area, dealing with the EU politics and institutional setup, in the context of Serbia’s EU accession negotiations. Strahinja is currently pursuing a Ph.D. degree at the Faculty of Political Science (University of Belgrade), where he originally graduated as the best student of his class at the Department of Political Science (i.e. Politicology). 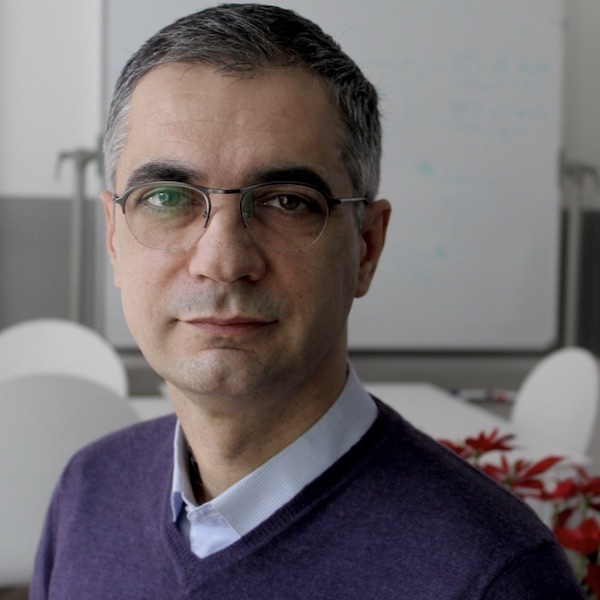 At Central-European University he obtained an MA degree in Political Science, acquiring a certificate in Social and Political Theory, with a special focus on Transitional Justice in the post-Yugoslav space. Prior to that, he had studied at the University of Missouri during his junior year, as part of a programme funded by the US State Department. 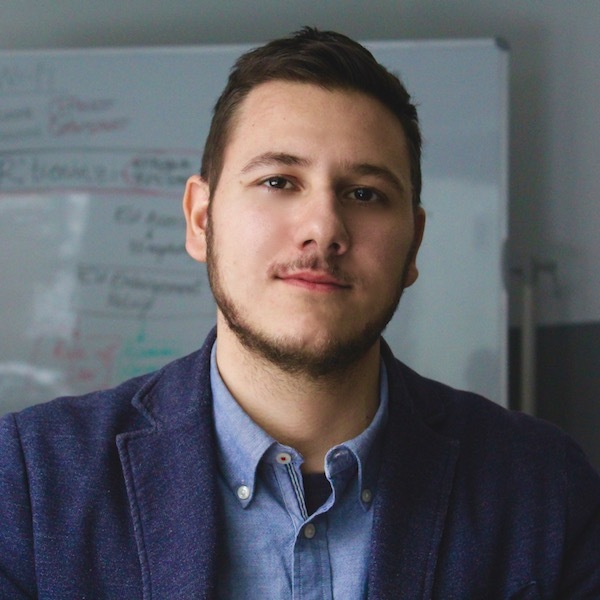 Strahinja’s most relevant internship was done at the Institute of International Relations and Economics, during which he published, in a scientific journal, an article dealing with the European Union’s role in reaching reconciliation between Serbia and Croatia. Regarding his most relevant volunteering activity, he points out the work done at the United Nations Association for Serbia, where he, among other things, organized Belgrade International Model of UN. He also has some teaching experience, having thought, as the Junior Teaching Associate, the course Political System of Serbia at his home faculty for a semester. He speaks English and Italian and is currently learning Spanish. Miloš joined CEP team in February of 2018 after finishing Master program at Berlin School of Economy and Law on the module International Economics. 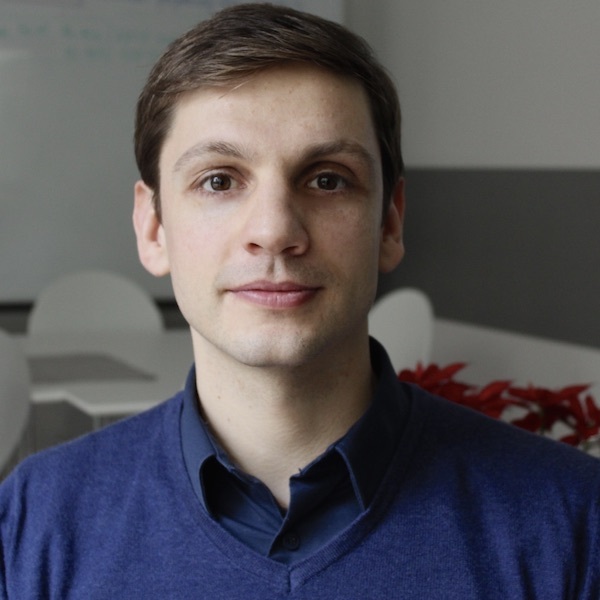 During his master studies, Miloš has a chance to study heterodox economic theory with a focus on pluralistic approaches to macroeconomic policies evaluation. 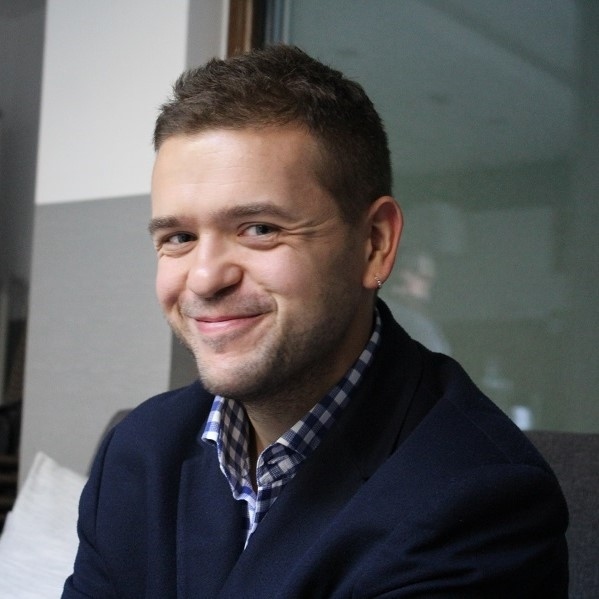 Besides macroeconomics, Miloš is active in research in the fields of international trade, international economic relations and political economy. 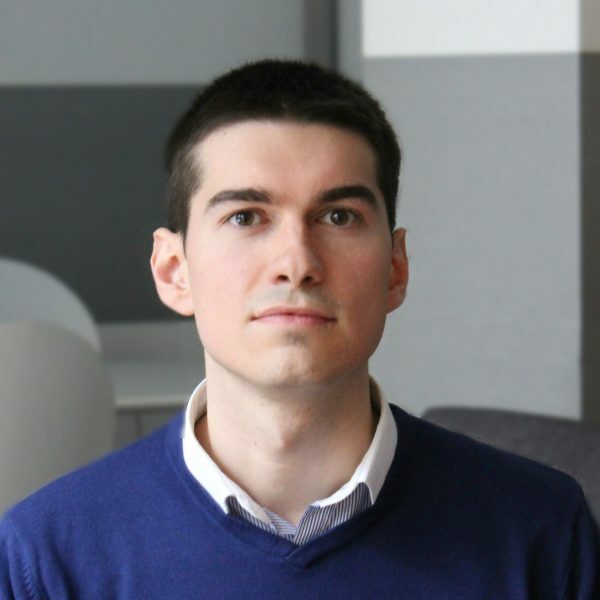 Previous to master studies, Miloš was working in corporate sector holding positions in finance and marketing departments in two multinational companies. Miloš finished Bachelor studies at Faculty of Economics of University of Belgrade on the department for the International economy and foreign trade. During his studies, Miloš also completed an internship in Serbian Business Registers Agency and was an active member of couple student organisation. In spare time Miloš enjoys collecting old coins and stamps from all around the world. 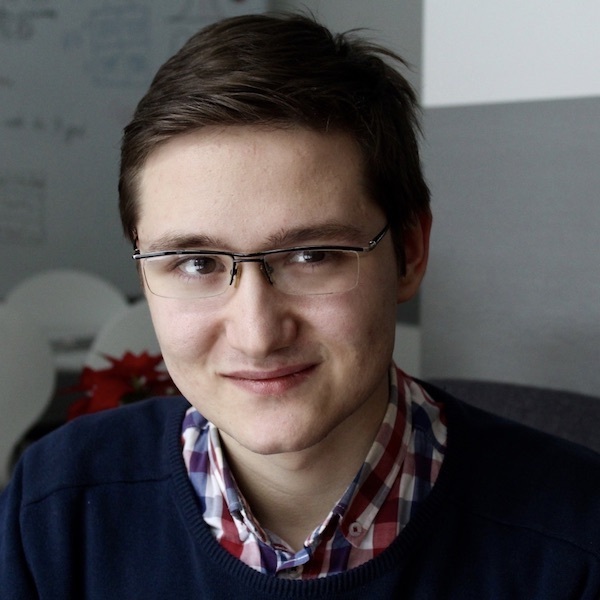 Dušan joined the team in December 2017, after a three-month internship. He completed his graduate and undergraduate studies at the University of British Columbia in Vancouver, Canada. His academic area of expertise is International Relations, more specifically Environmental Politics. Furthermore, his Master thesis was titled „Cities and Climate Change: Power Games and Greenwashing Through Transnational Urban Networks“ and it can be found at UBC's Website. During his graduate studies he worked as a Research Assistant for Dr. Gyung-Ho Jeong, the chair for US politics at UBC. This research involved looking at the effects of party politics and ideology on foreign policy voting patterns in US Congress. Additionally, Dušan worked as a Teaching Assistant at UBC, having taught courses in US politics and political theory. At CEP, he splits his time between the Good Governance and Regional Policy, Energy and Environment Programmes. Dušan speaks English fluently and has beginner knowledge of French and Spanish. Dragan has joined CEP team in December 2016. Before joining CEP he had internship with United Nations Convention to Combat Desertification (UNCCD) in Bonn Germany, where he has been engaged on projects dealing with institutional support to undeveloped countries in building capacity to fight against desertification, land degradation, floods and drought. In 2015 he gained experience of work on UNFCCC Climate Change Conferences in logistics section. Dragan graduated from the Master program European Studies – Governance and Regulations at Rheinische Friedrich-Wilhelms-Universität Bonn and before that he finished Bachelor studies in Political Science at Faculty of Political Science University of Belgrade. Dragan also had internship with marketing agency "NOA" in Belgrade, where he hold position of Public Relations Assistant. During his studies he was volunteering in several NGO’s and student organizations. He speaks English and has a working knowledge of German language. Barbara Frey is a College of Europe graduate with several years of professional experience in high-level public and private sector, including the European Parliament, Instinctif Partners and several governmental and civil society organizations. While working as EU Public Affairs consultant in Brussels she was active in research and account management by cultivating strong relationships with clients and finding solutions to the obstacles their businesses were facing. 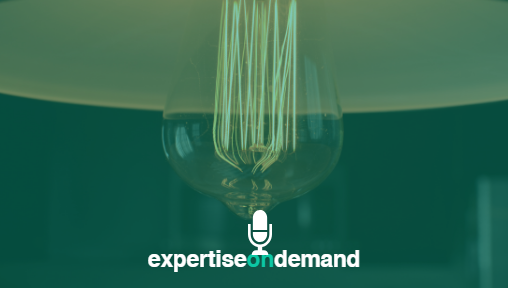 She has experience in managing advocacy campaigns and strategy-planning projects for clients that were facing imminent consequences of proposed legislation and/or governmental actions. Before successfully completing her Master degree in European Political and Administrative Studies at the College of Europe in Bruges, Barbara graduated from the Faculty of Political Sciences, University of Belgrade. Barbara is fluent in English, French and German. 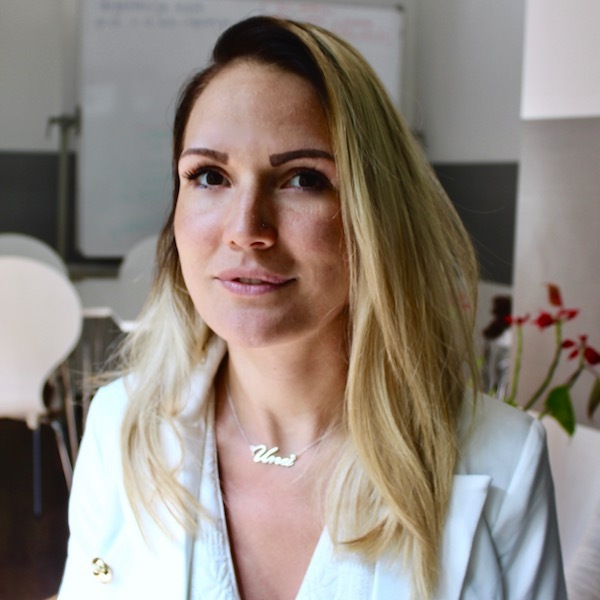 Mirela joined the CEP team in September 2017. She built her career in banking, where over many years of work her focus was on finance, accounting, work with small and medium-sized enterprises and large corporate clients. Some of her most notable professional achievements include working with a group of selected experts in establishing a new bank in the Serbian market through the setting up of the banking system, establishing valid and legally based work processes (by mapping processes and writing procedures based on mapped processes) and close cooperation with the National Bank of Serbia, Deposit Insurance Agency, Credit Bureau, but also the ability to manage teams with people of different cultural, social and professional backgrounds. She speaks English and strives to improve her knowledge of Italian and Spanish.